This offer is for first-time customers only who sign up for our Full-Service Program and also applies to lawns up to 5,000 square feet. For lawns over 5,000 square, customers will get 50% OFF their first application. We're so sure that you'll be so pleased with our lawn care services, we're offering first-time customers a special price just for giving us the chance to show you. Please contact our office for more information. First application can be applied in just a few days. At Gro Lawn, our whole purpose is to help you achieve a beautiful, healthy, and well-maintained yard. Different grass types require specialized care. We can work with Bermuda, St. Augustine, and Zoysia grasses specifically, which are popular options in this area. Our staff will teach you the best ways to care for these grasses, including how often to water them. No matter your lawn type, we can help you select the right fertilizer to bring out the best in your grass. 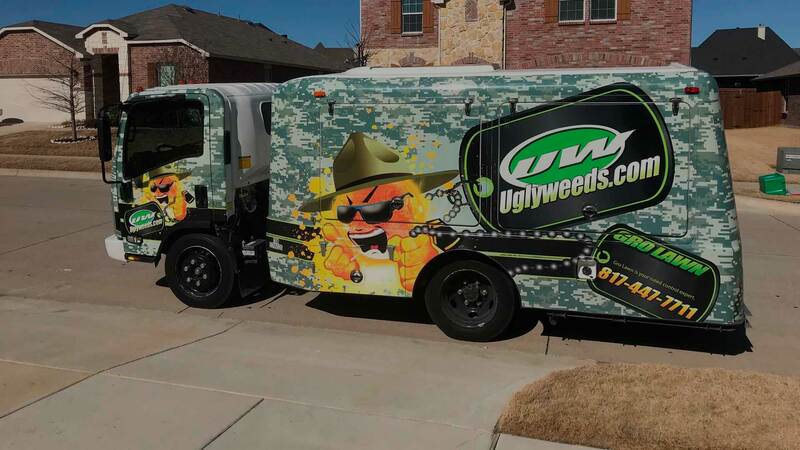 Our weed control will eliminate unwanted plants and keep them away, while disease control will address factors making your grass look less than its best. Keep the bugs out of your house without spraying pesticides inside it, thanks to our perimeter pest control services. We can assess your situation, applying the right mixture to keep insects out. You’ll be able to live without any more unpleasant surprises. Trees and shrubs beautify your yard, as well as add shade and value to your property. You should protect these assets by ensuring they’re healthy and vibrant. Not only will this help your trees and shrubs with challenging weather, it will make them look as good as possible. Our team can manage everything from pruning to tree fertilization, disease control, and more. Many people don’t fully understand what grubs are, how they affect your grass, or even how to detect them. We have the training and experience to determine if your lawn has fallen victim to these pests. Our staff can take proper action to curb your grub worm problem, and even help keep these creatures from destroying your lawn in the future. Your grass needs to breathe, just like you. With aeration in the spring and fall, you get air, water, and fertilizer straight to the roots. Aeration also fights soil compaction, another serious problem your grass could be struggling with. We aerate your lawn with expertise, helping it to look green and vibrant. These notorious insects are feared by many, but you might not even know if you have a problem. One call to us and we’ll assess your property, looking for signs of fire ants. If we detect them, our technicians can use safe ways to control the problem, so you’re not risking getting attacked by this aggressive variety of ants. Our programs are custom designed to fit the unique climate of North Texas and the variety of grass types we have here.